Today we will talk about a type of tent that is a perfect shelter for a group of people or families. Cabin tents are one of the most popular large tents available on the market. These tents have walls so it is easy to move inside the tent and also do activities without bending. If you want to have enough space on a camping trip you should read on to see how this type of tent can change your way of camping. You can also set it on your backyard and invite some friends to have a backyard party around the grill. Let’s see how a cabin tent can help you to have a pleasant outdoor experience. I will cover some features of a mentioned tent which you should know about before buying it. Cabin tents are known for its large space and several rooms. In general, tents have just one room where you sleep. However, cabin tents are made for families who need more space and privacy. Think about going camping with the kids. I am sure you would love to have some privacy and your kids as well (especially if you have teenagers). Tents that look like a cabin can also have more than one door for an easy entrance and exit. You can pick a tent regarding the numbers of occupants. For example, if you have a 4 member family then you can pick a cabin tent for 4 campers. These types of tents can occupy from four to twelve people or more so choose the one that will have enough space for all of you. Still, I recommend that you don’t limit yourself with an exact number of campers. A four-member family should pick a five or six-person tent as there is never enough space. These spacious tents are heavier than hiking or backpacking tents due to its largeness and a number of tent poles. So this is a shelter that isn’t appropriate for one-night camping or if you want to go outdoors on foot. However, they are perfect for going in nature with a car or some other transportation vehicle. These tents are not as easy to pitch as pop up tents of course. Setting up a cabin tent takes time and it is the best that you involve other campers to help you with this task. I recommend that you pitch the tent at home before going to the wild. This way you will be sure that there are no missing pieces and will be confident to have a shelter when you come to the campsite. On which season are you going to camp? It is important to know if your tent is a 3-season or 4-season tent. A cabin tent is luxurious and feels like a home in the wild but still, you should pick the one that is appropriate for a camping season. Camping in the spring, summer, and autumn isn’t so demanding as the weather is milder than in winter. In this case, you could look for a tent that is a 3-season tent. A 4-season cabin tent is a little bit different as it should have a higher hydrostatic head, is waterproof and water-resistant. An all-year tent is heavier as it should withstand the heavy rain, snow, and strong winds. If you decide to go outdoors in winter don’t compromise on a tent’s price and get a 4-season shelter. Tents with a cabin style have large windows in general. This is another great feature that reminds us of home. Large windows will give you enough light through the day and an opportunity to watch the animals. When you want to have more shade, you can close them as they have this ability. Cabin tents are made for a camping experience so campers can feel like at home. With this in mind, tent manufacturers make cabin tents with a screen porch. A porch is a wonderful feature to have as it will enable you to have a meal with your loved ones and enjoy watching nature. Get a folding table and chairs and place them here to enjoy throughout the day. You can open the mesh of the porch or close it at evenings when mosquitos come along. It can be used for storing your camping equipment or personal items as well. This way you will have enough space inside the tent for sleeping and resting. Dear camper, I am sure that on this point you have enough knowledge to know if this type of tent is what you are looking for. Cabin tents are large tents that are best to use for families or a group of people who won’t move a lot. Think about tent’s features and how your camping trip will look like. If you want to have a long and relaxing vacation in nature with your friends, family or other campers, you should give a cabin tent a try. 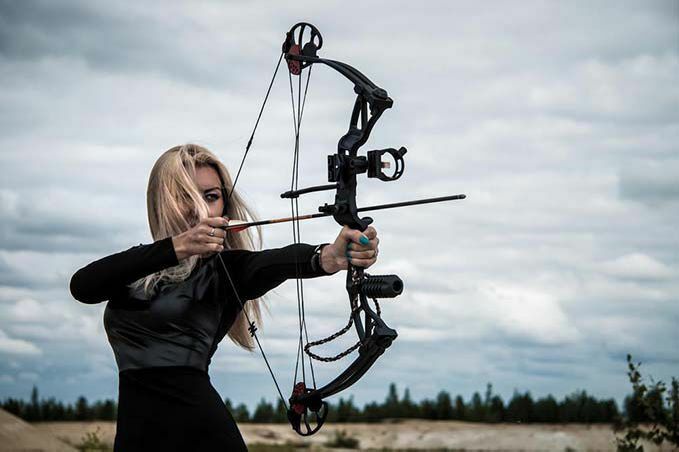 While you are in archery, the gear that you may need to invest in include bow stabilizers and bow sights. If you want to check out this gear, you can check out this blog here. This gear is tailored to get your aim right to that you can shoot your target accurately as many times as possible. So, still thinking whether you want to acquire archery skills in your self-reliance journey? Here are 3 reasons to consider while making that decision. Hunting in general is an important survival skill by itself too because you may need to obtain food sources while you are bugging out. 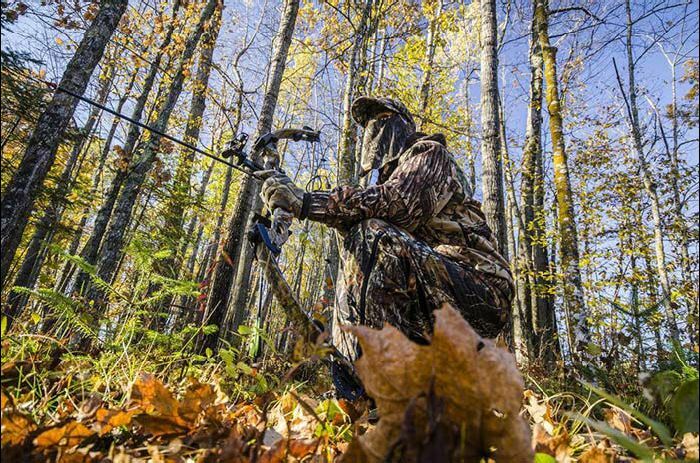 If you have archery skills in the bag, it can help you hunt fish, bear or deer depending on your preference. 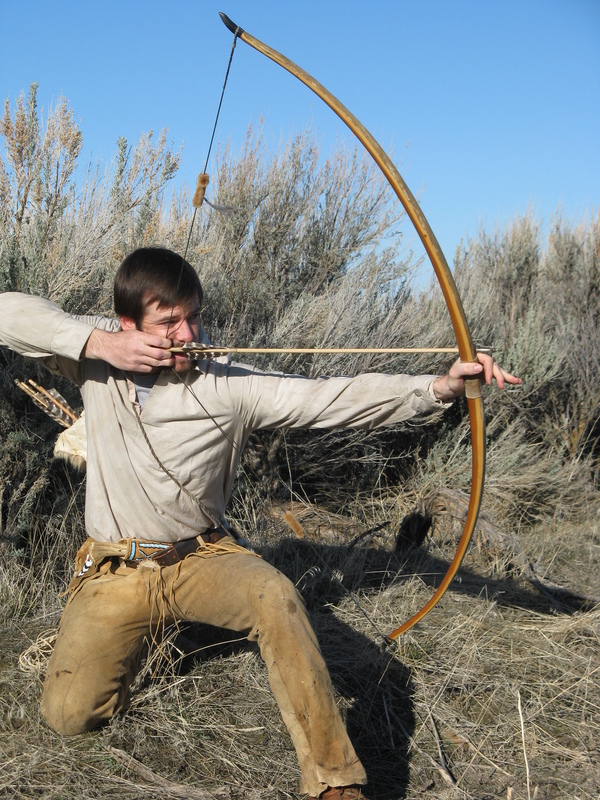 Even if your bow is not strong enough, you can aim to get small game like rodents and rabbits. Another aspect you can look into is to bowfish as well. 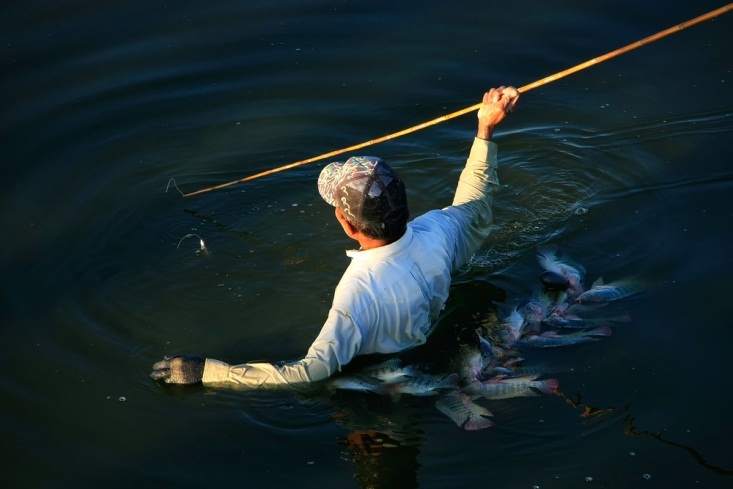 To bowfish, you can add a line to the arrow but make sure that the line is sufficiently strong to carry weight. This reason would be more in reference to practicality. When you are caught in a really bad disasters, we can reasonably assume that all supplies and equipment would be gone. Your access to bullets and firearms would be limited which means the next best ranged weapon to protect yourself would be your archery gear. 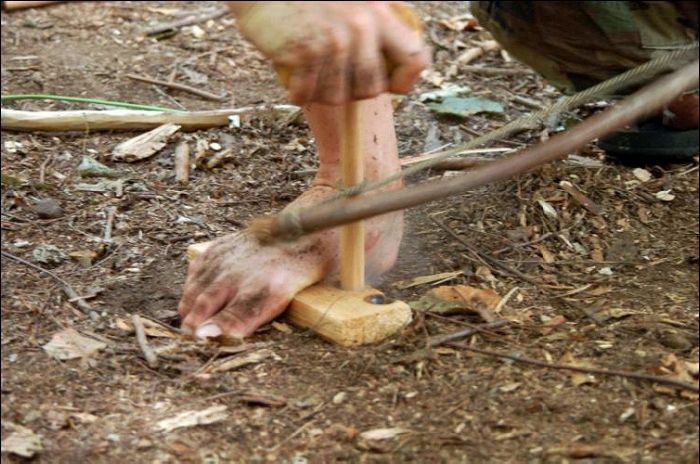 You can use a boot knife to craft wood that is strong enough such as oak or lemon trees into the base of your bow. Next, you need to utilize items like ropes or fishing lines to make your bowstring. If you are in the wilderness, you can use vines or strong fibrous stems and make it into your bowstring. The goal is to make a bow and an arrow into something that can shoot accurately and consistently. Not to mention being able to make powerful shots too! So, there are two ways how getting archery gear is cost-effective. First, your archery gear is more versatile. The arrow can be used as a drill to help you with kindling a fire. The string for the bow can be used for other purposes such as a fishing line, to set traps or help build your survival shelter. This is in comparison with other gear of course. You may also want to learn about the various arrow tips that are available such as using blunt tips for small game. People would get arrow-tips which are pointed with larger broadheads to do more lethal shooting. 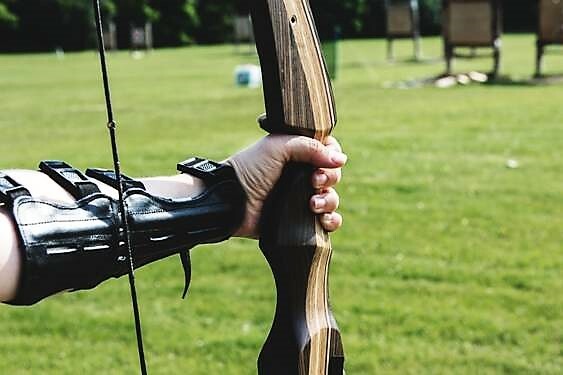 After you are convinced about learning archery as a survival skill, it is time to delve into getting the best kind of gear. In looking out for a good stabilizer there are several things to consider including getting one with the perfect length and weight, ensuring that it is made from sufficiently durable stuff and ensure that it is adjustable (depending on your preference of course). Getting the best gear would not end it all yet. You still have to find out how to utilize this gear to make your shots consistent and accurate. You have no choice but to practice shooting consistently and find out what works! If you have any other ideas you would like to share, feel free to comment below! 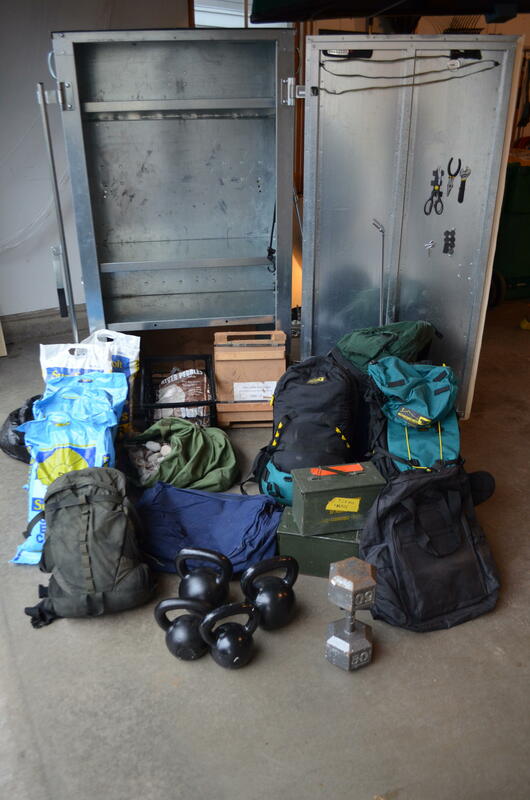 Like most preppers, I am constantly re evaluating my gear. And you should too. Situations and needs change. I still live on the edge of Phoenix in the Sonoran Desert. And up to now, my basic brush blade has been my Nepalese Kukri. But some of my plans have changed, and I decided I needed a full bladed machete. I have always like the Kukri blade design. This type of blade was believed to have been first used by the ancient Greeks as a cavalry sword called a Kopis, itself derived from an agricultural tool. It it is also suspected that this design was introduced into Nepal during Alexander the Great’s invasion of India. Whether it was or not, this is an outstanding blade design. I decided to go with it when selecting a full blade machete. It is important to understand the proper role of the machete. It does not replace a good ax or hatchet for chopping thick wood. It is designed to clear brush, cut smaller items of wood, and is useful as a close combat weapon. I studied the reviews of the various models in this design and settled on the Schrade SCHKM1. I am glad I did. The blade is full tang and constructed of 3cr13 steel. This was a good choice because it has a good hardness but is soft enough to withstand constant high impact use. The blade came nice and sharp. 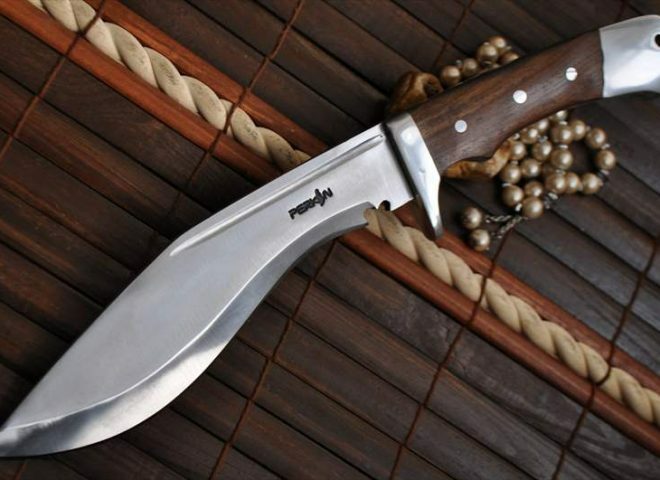 The Kukri design allows for powerful chopping strokes. It has a blade length of 13.3 inches (33.8 cm) and a weight of 1 lb 6.6 ounces, and the blade is 1/8 inch thick. It is full tang. The holes in the blade are to lighten it and serve no real functional purpose unless you want to imitate the main character in “The Book of Eli”. I haven’t had the chance to put it through hard paces yet, but did trim some branches off a Palo Verde tree that was blown over in a recent monsoon storm. I like the balance and heft. The blade is thick powder coated and the handle is what Schrade calls their safe-t grip. It is rubberized and non slip. The handle has a front quillon which is extremely ergonomic and safe. The scabbard is in itself well designed. Double stitched and designed to be worn on your belt with leg straps, slung over your back, or attached to your ruck. 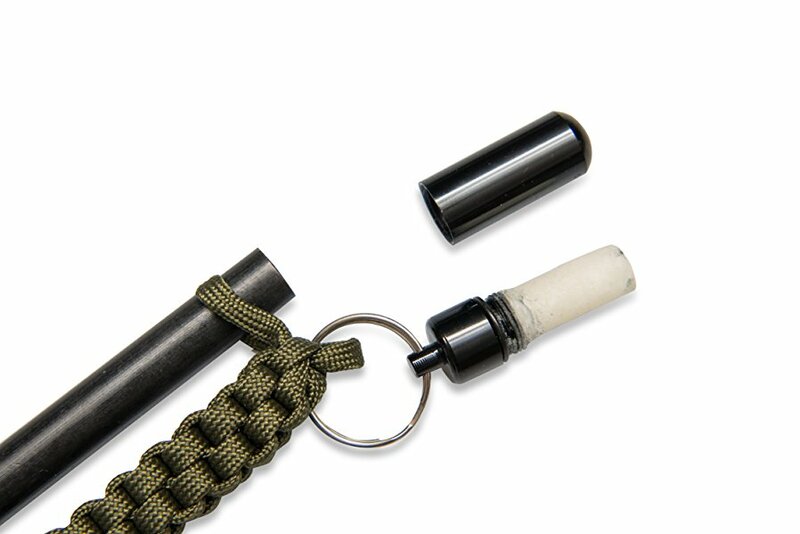 It also comes with a quality sharpening tool in a detachable pouch as well as a ferro rod fire starter. If you are looking for a lightweight, well designed machete of the Kukri design, this would be a good selection. Available from Amazon. When it comes to holistic health, there is nothing more beneficial and powerful than essential oils. Adding them to your survival kit is an easy way exponentially increase its versatility, without having to include several new, bulky items. The wide range of uses and benefits they provide will help you to truly be prepared in ways you may not have considered to be important until now. Here are the top four essential oils that everyone needs in their survival kit. This oil is probably the first one you should buy for your survival kit because it is widely believed to be the most versatile essential oil, and with good reason. Lavender is known for its host of benefits, from its antimicrobial properties to wound healing. Using lavender oil for cuts and scrapes will not only clean the wounds, but help to speed up the healing process. Another huge benefit it provides is relieving pain. Whether it’s chronic or temporary pain, lavender can help to reduce the pain so you can move effectively without being distracted and limited by the discomfort. Furthermore, when SHTF, there may come a moment when you or someone in your party will be under extreme stress which can cloud mental clarity and severely impact your ability to survive. Inhaling lavender oil will help to reduce stress and have you thinking much more clearly so you can make the best decisions for you and your family. Peppermint oil is another essential oil that needs to be added to your survival kit to prepare you for everything that’s going to come your way. For one, it is an incredible pick me up that is used by many athletes to boost their performance during competitions. Inhaling peppermint oil improves your breathing significantly and allows more oxygen to enter your lungs, drastically improving the performance of your muscles when you need them most. So if you’re feeling mentally or physically exhausted and need a quick boost, peppermint oil should be your go to. Additionally, it has been shown to relieve nausea in minutes when inhaled so if you have someone prone to nausea in your party, that’s just another reason to keep a bottle in your kit. 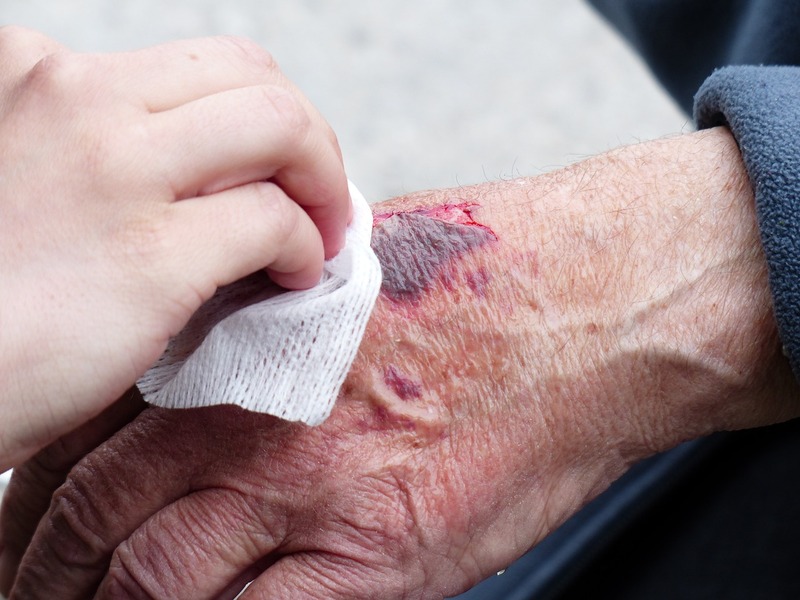 Orange essential oil has antiseptic properties that makes it an ideal cleaning solution for wounds, thereby reducing the possibility of infection. Like lavender, it is also an excellent intervention technique for dealing with pain, confirmed in a study by Arak University. In the study, it was found that inhaling orange oil significantly reduced pain in individuals with fractured limbs. 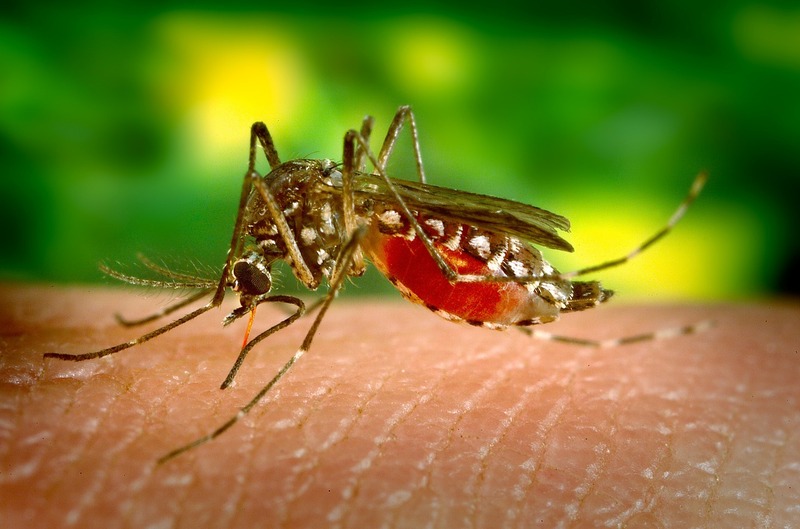 Clove essential oil is an amazing insect repellent which can be very useful when setting up camp in an area where mosquitoes and other insects are plentiful. Combine this oil with a carrier such as coconut oil or jojoba oil and apply to the exposed arm and leg areas. Essential oils are compact, easy to use hacks that can help you in long list of ways when SHTF. Whether you need to clean a wound, reduce pain or boost your energy levels, adding these oils to your survival kit will allow you to make the best out of any situation that arises. A beginning Prepper will start out focusing on the basics: Beans/Bullets/Band Aids. And hopefully the training that goes with them. As time goes on and experience increases, he hopefully becomes more adept at identifying those threats that have the potential to cause him harm, and to start mitigating them. And expanding his equipment and supplies. At some point you have to decide if a chemical/biological/nuclear threat scenario is something you need to concern yourself with. And that you need to equip for. Some preppers will, some wont. I covered protective masks some time back. The kits come with two packets, one blue, one green. The blue one is a training packet o nly. The green packet is the real deal. The kit comes in a cardboard box with instructions. So, do you need to invest in this product? Only you can answer that. I think that the threat of a localized terrorist biological attack is a legitimate concern. These packets are extremely light weight, small, fit easily in a shirt pocket, and by all accounts, effective. The negative side is that they are expensive at $50.00 a kit. You can see a good You Tube video and learn more about this product here. There are plenty of outdoor activities. Some want to practice outdoor sports, some enjoy just running in nature, some want to go for hunting and some would enjoy just a picnic in nature or camping under the stars. It is very healthy to spend some time in nature. That way we clear our mind from the negative thoughts and release all the negativity. Our muscles relax and our lungs fill with fresh air. With the everyday use of the technology and working all week-long, we try to reconnect with our roots and spend some time in nature in order to recharge our batteries and have plenty of energy for the tasks we have to do. Most of the people want to use the free time they have to spend some time in nature with their friends and family and have a good time. They decide for some outdoor activity and enjoy the benefits they get from spending some time in nature. Before deciding on any outdoor you need to prepare and take the equipment needed in order to avoid some impediments that will ruin your time in nature. 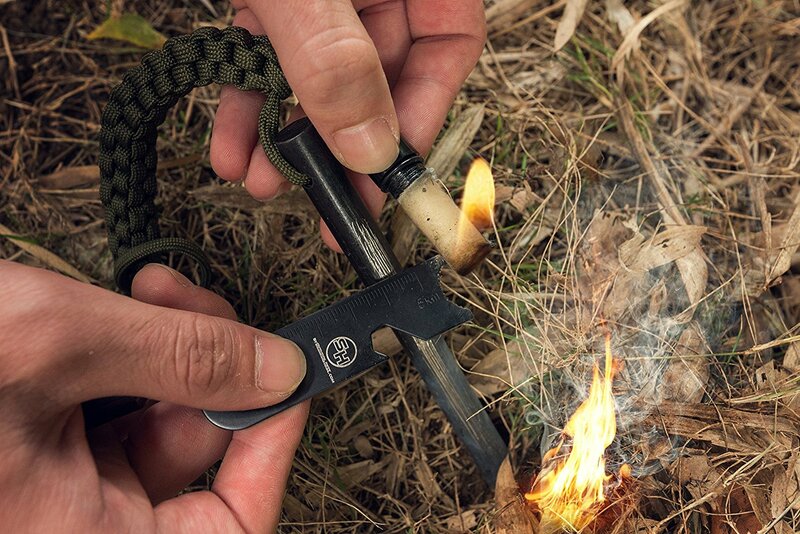 In this article, we offer 7 best survival gadgets for your outdoor needs. 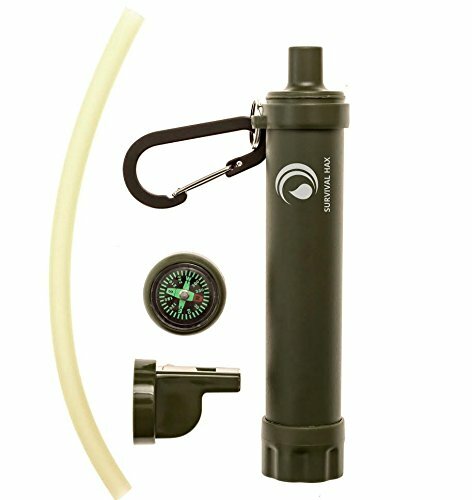 Gadget number one – Personal water filter – There is no life without water, so you need to take plenty of water with you when you spend some time outdoors. Sometimes it happens that you run out of water, so the personal water filter is a must have gadget with you when spending some time outdoors. Our bodies need to be hydrated so that they can work properly. This tool can be found online or in many shops. It is not very expensive. 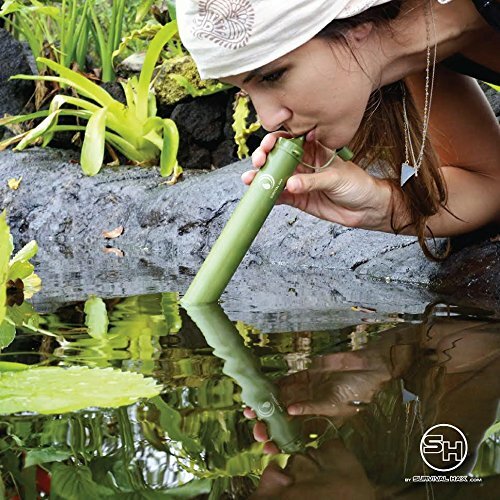 With the personal water filter you can drink any water you find near you. The filter filters the water and after that the water is safe or drinking. So, when you consider some outdoor activity make sure you do not run out of water or just take the personal water filter. Gadget number two – A flashlight and a battery charger – During darkness, you will need a flashlight with you. When spending time camping or maybe doing some other outdoor activity you should have a flashlight and some batteries for it. Rechargeable batteries will need a battery charger in case the ones you have do not work. A solar battery charger will be perfect for charging your batteries for your outdoor needs. Gadget number three – A lighter – Whether you smoke or not you definitely should have a lighter with you. It is very useful not only for lighting your cigarettes but also for starting a fire. You may need to get warm or you can use the fire as a source of light. Gadget number four – A hand warmer – When your hands are cold you are unable to perform the activities you need to do. When our hands are warm we are able to do important tasks. Hand warming devices are easy to use; they are re-usable and can be used 12 hours straight. They make your hands warm faster than using gloves. Gadget number five – Sun oven – This might be a more expensive gadget, but it will definitely serve you if you want to spend some time outdoors and prepare the food in nature by yourself. This oven uses the sun lights as energy and heats up to 200 degrees Celsius. You can prepare some food using this oven and enjoy your time outdoors. Gadget number six – A gun – This may not be something that will come to your mind when you want to spend some time relaxing in nature, but it is something you must have with you. There are many animals in nature, especially in the woods. Animals see people as a threat and they just want to protect themselves so you need to have a gun with you in order to defend yourself from the possible danger. Gadget number seven – First aid kit – When spending some time outdoors, you must have a first aid kit with you in case of accidents, or maybe if bitten by an insect, if you cut yourself accidentally and so on. Also have some disinfectant swith you and bandages in case you got wounded. You never know what may happen. It is better to be prepared. Sure, you may have never even thought about sharpening your knife before, but that doesn’t mean that you can’t do it. In fact, that means that you should definitely do it. No two ways about that, really. Otherwise, a few months will simply pass, and before you even know it, all your knives are dull and pretty much useless in the grand scheme of things. Now that isn’t a desirable situation by any means. Especially if you’re the kind of person who uses your knives a lot. Now, whether it’s for a stainless steel folding knife or a survival knife, knives on the whole do require a great deal of care and looking after. If you happen to be a knife enthusiast, you will most certainly know exactly what I am talking about. If you don’t know even a single knife care tip, having so many knives is really not going to be of much use, whatsoever. Making yourself aware of a few vital tips is pretty much the first step towards taking good care of your knife or knife set. Testing your knife with a piece of paper: Though it may sound a bit silly to some of you out there, this is the best way of figuring out whether they really need to be sharpened or not. If the knife cleanly cuts through, then you know for sure that you’ve found the razor edge that you need. For sharpening, start with a paring knife: In this regard, it is recommended that you start with a much lighter and smaller 8-10 inch plastic paring knife. Also, remember to try and avoid any knives that happen to have bolsters. That is one aspect that you cannot afford to forget about. Honing your knife is just as important as sharpening it: Don’t automatically assume that just because a knife isn’t cutting cleanly means it isn’t sharp. The sharp edge might have rolled over, or it may even be out of alignment. Make sure that you use a honing steel to fix a rolled edge. Apply more pressure when sharpening: One of the most common knife sharpening mistakes is a lack of properly applied pressure. You need to make sure that you are applying the proper amount of pressure. The angle of sharpening does matter: If you take a look at all the expert knife sharpeners, you will see that all of them use specific degrees for particular tasks. It is as simple as that, provided you want to achieve as much accuracy as possible. Like splitting chickens would be about 20 degrees and cutting cucumbers would be about 10. At the end of the day, be it getting to know and implementing different types of sharpening, or slowly getting on your way to becoming a master bladesmith, you need to take care of your knives in every way possible. After all, what’s the point of getting some of the most expensive and exquisite knives on the market if you’re not going to take good care of them and simply neglect them? Apart from the above tips, make sure that you know exactly which of them are most important for your knife in particular and focus on those tips in particular. After all, not all knives are made equally or from the same materials. Keeping that fact in mind at all times is a must. When I received my example from Survival Hax, I opened it up and laid out the contents. Here is what comes in it. It also comes with a first aid kit which I will cover shortly. The one item that I was particularly impressed with is the multi tool. This is a very well made item. The handle is slightly rounded, and stainless steel. The blade could use a good sharpening, but that is an easy fix. Really a good little tool. Finally, the gloves are interesting with their rubber grip buds. They will do fine to keep your hands clean while changing a tire. I treated this separately because I think a first aid kit for an auto is an essential item. Here is the packing list for the kit. As you can see from the contents, this is a pretty basic kit for minor injuries. I recommend that you upgrade it with some serious bandages such as the Israeli combat bandage. If you are on medication, you should add at least two days to a week’s worth and rotate them out regularly. A better tourniquet would also be recommended. As for additional items to add to the kit , I would recommend a basic tool kit. 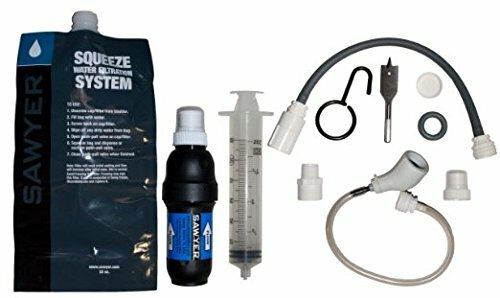 Keep in mind that pre made kits like this have items that are meant to get you through an individual emergency, and not necessarily to hang through a year of SHTF or TEOTWAWKI. This kit normally retails for $49.95, but If you buy this kit on Amazon here, you can get a $25.00 discount using the promo code OFROAD50 at checkout. I think that this is an excellent starter kit for someone who has no emergency roadside kit set up. It has a lot of the basics you would need for safety, and you can add additional items to suit your individual needs. Using the promo code this kit will only cost you $25.00 which is a lot less than buying the items individually. I think it is a good buy for the price. My father taught me this poem as a child. I can still recite it. At the 11th hour, on the 11th day, of the 11th month in 1918 the most horrendous war the world had seen up to that time ended. Unless you are a military historian, most people do not understand the horrific carnage that raged in Europe between 1914 and 1918. It was the first World War. I have been to the battlefield in Verdun France. The local farmers were still carrying gas masks to protect against the occasional gas shell that could still be dug up. November 11 is celebrated in the United States as Veterans Day. It is also celebrated in the UK and Commonwealth countries as Remembrance Day. We celebrate it to honor all veterans of the armed forces. Memorial Day, which is celebrated on the last Monday in May, remembers all who gave their lives for our country in war. Replica poppies are often worn on both sides of the Atlantic to remember our veterans. It is important to remember the sacrifices of our nations veterans in all of our past and ongoing wars. But the value of veterans is not only in what they have already done, but in what they are capable of doing. The United States of America was founded by veterans. Many of them veterans of the British Army in the French and Indian wars. Many of various European armies and continental wars. And up until recent years, veterans played a dominant role in government. The United States is going through a major political crisis right now. Last November middle America began waking up to the economic and political disaster we had become after eight years of Obama supported by 30 years or more of leftist indoctrination in our education system, and elected Donald Trump. Since that election, we have seen just how deep the corrosion and criminality of the Deep State and the mainstream of both parties had gone. And they will do everything they can to reverse that trend, legal or not. The potential of serious upheaval in this country is the reason the Founders put the Second Amendment into our Constitution. And the ongoing series of wars this country has been involved in has given us a tremendous number of combat veterans. 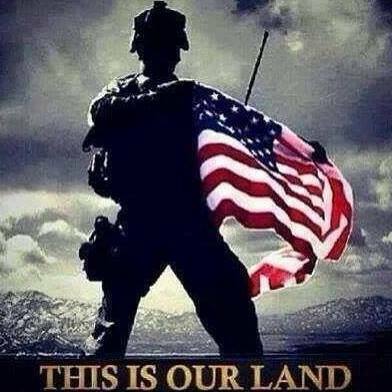 Every member of the Armed Forces takes an oath to defend the CONSTITUTION against all enemies, foreign and DOMESTIC. And millions of them are highly armed and remember that oath. And will live by it. That is a factor that the Deep State, the corrupt establishment of both parties, and the Marxist/Leftist likes of ANTIFA need to remember. Drinkable water is going to be on the top of the survival priority list in any situation. Whether you are stranded on the road for three days, evading a natural disaster for three weeks, or dealing with TEOTWAWKI for the next three decades, without having enough clean drinking water to stay alive, all of your other preps will not matter. There are a number of ways to treat water to make it drinkable. 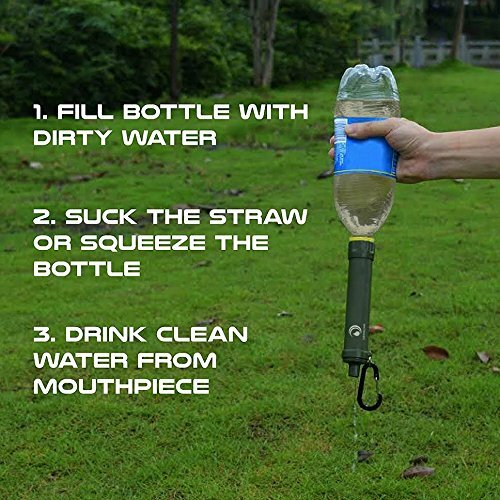 Having a personal water filter is one of those ways, and has a number of tactical advantages. They are light weight, and inexpensive so each person in your group can have and carry at least two. I see these as reserve items. You should have as much stored water as possible at your main location, as well as larger family sized filters. But these are useful especially if you are on the go and bugging out on foot. Water weighs a lot, and you won’t be able to carry a lot with you. Boiling takes time, requires you stay in one place long enough to do it, and requires fuel. The advantage to portable personal water filters is that you can drink on the go, as you find water. Advanced filter purifies at .1 microns and removes 99.9% of waterborne protozoan parasites. Chemical Free technology for healthy water intake. 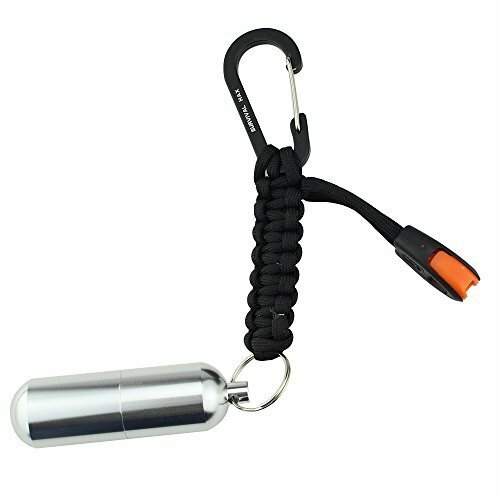 Lightweight and easy to store (3oz, 7.5in long, 1in diameter). Perfect for Bug Out Bags. There are a number of portable water filters on the market, and honestly, all about equally as good. The particular filter has a number of add ons, including a small compass, small mirror, and the end cap is a whistle. Cute, but to me, probably not that all useful. A well-built carabiner allows it to be attached easily on the outside of your gear if you want. But it DOES have a couple features that I consider very useful. If you look at the picture above of the woman drinking, notice how close down to the water she has to get. 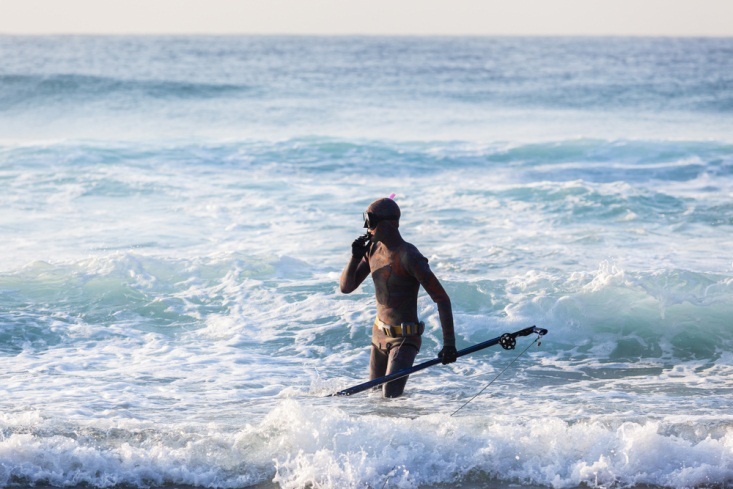 This filter comes with a length of surgical tubing which will fit on the end to allow you more stand-off from the water. This allows you to keep your head up higher and to be able to look around while drinking, enhancing your security. The tubing could also be used as an emergency tourniquet. When SurvivalHax.com sent me their 10 in 1 EDC keychain for review, I was pretty interested. 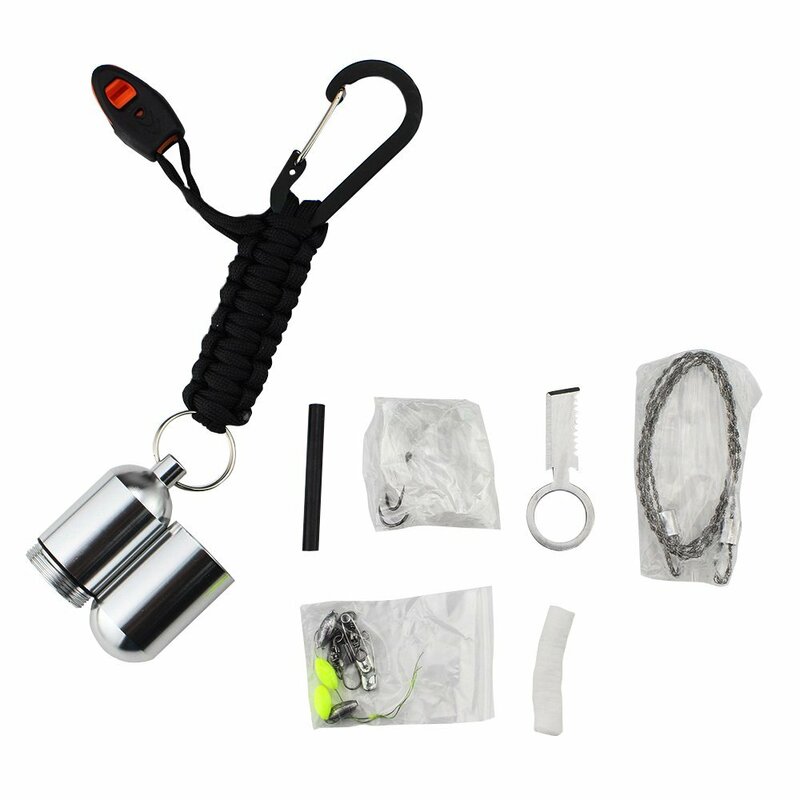 This is basically a mini-fishing kit with fire starter stored in a waterproof aluminum case attached to 4 feet of braided Para cord with a whistle attached to a small carabiner. The first thing I tested was the whistle. Although not police quality, it got the immediate attention of both the wife and the cat, each vying to give me the meanest scowl. It is certainly loud enough for signaling purposes. The carabiner is of lightweight metal but seems to be of good quality. Although I did not unbraid the paracord, it also looks to be well made. The small finger knife has a sharp edge and a saw edge. The sharp edge wasn’t that sharp, but a few swipes on a sharpener solved that, and it will now cut the fishing line if needed, and I am confident I could gut a fish with it. The main use of the knife is as a striker for the Ferrocerium rod. Holding it by the ring end and striking it like a match down the rod produces a goodly ammount of sparks, certainly enough to start a fire with proper tinder. I didn’t try the small cotton tinder roll, as I am soaking it in Vaseline and placing it in a small plastic pill bag. Living in the Sonoran Desert I am not real close to a handy stream to try the fishing gear, but it is certainly adequately made. The hooks, floats and weight seem to be of good quality.The small wire saw is sufficient to cut a small pole for a fishing rod, but I doubt it would hold up to hard continuous use. But then again, it wasn’t designed to. 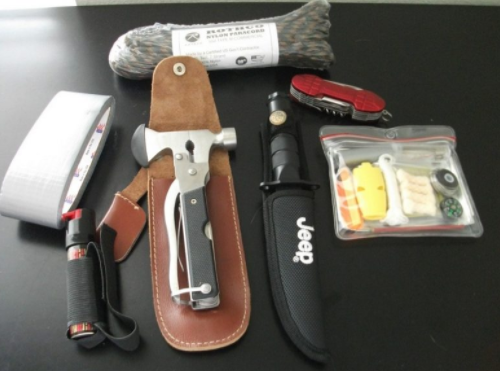 This is an EDC kit to get you home to your main gear. The aluminum case is indeed waterproof with a thin rubber gasket between the two parts. I tend to adapt my gear. I recently did an article on the SurvivalHax.com nifty little Survival Shovel. Both handels are hollow, and I filled one with cotton balls wrapped in a plastic bag to use with the fire starter. I am going to take the fishing components on the 10 in 1, wrap them in a plastic bag, and place them in the second hollow handle. The shovel is attached to my get home bag I keep in the back of my Jeep. As I require certain medication, I am going to fill the waterproof metal case with one weeks worth of medication and attach it also to the get home bag. All in all, this is a pretty nifty little set up for the price. The items are well made. You can use it as intended as an EDC keychain, or divvy up the components as I did. 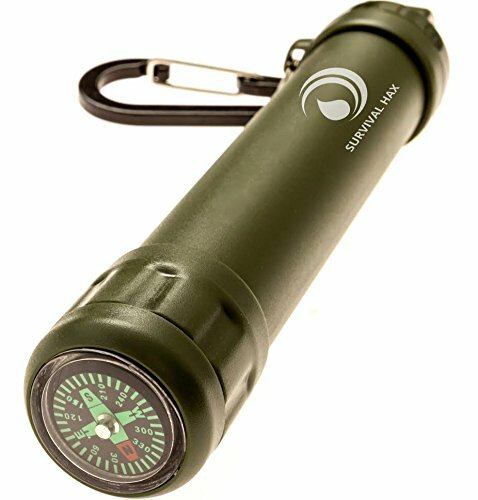 Available from SurvivalHax.com or on Amazon. For those wishing to stockpile foods for long-term storage, there are a number of options. There are many companies that specialize in dehydrated foods, and the best advice you can get is to decide what you are going to need, and sample a variety from different companies. And there are a large choice of food types and menus. Valley Food Storage is one of the major players in the industry. I tested their white bean and lime chili and found it really good. So when I was given another choice of item to test, I decided on the peanut powder. My main interest is in lightweight and easily stored items that would be functional and nutritional either bugging in or out. 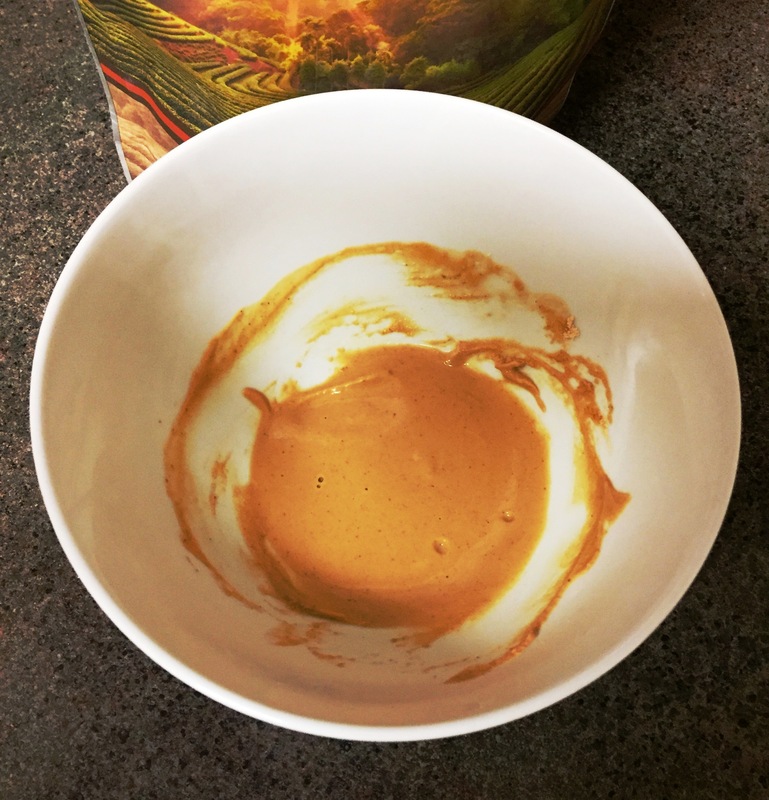 Peanut butter is a popular staple with survivalists for a number of reasons which I described here where I wrote about the real deal. 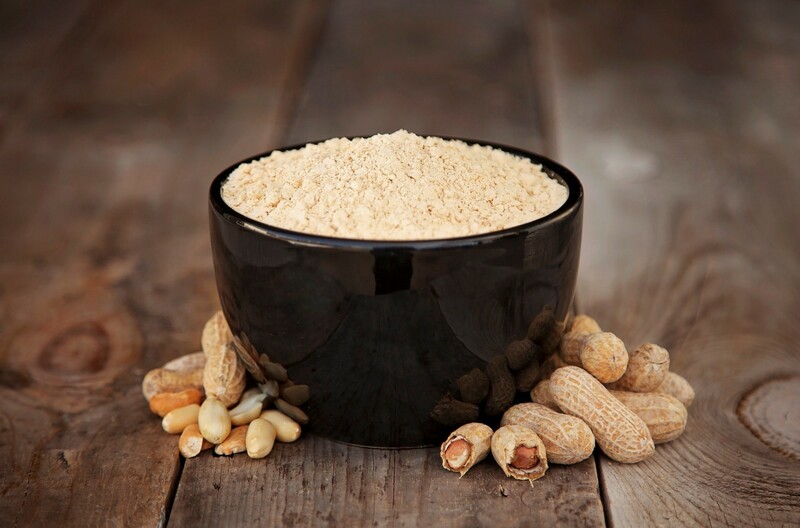 Peanut powder is made by compressing peanuts to remove the oil and fats, and then grinding them into powder. 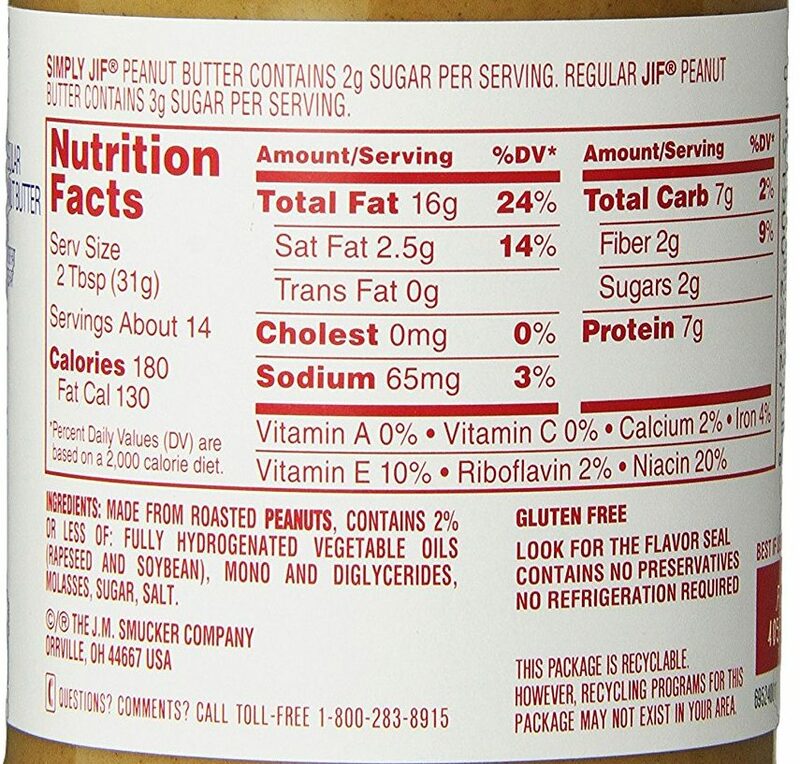 This provides a lightweight substitute for the much heavier actual peanut butter. So how does it stack up against the real thing on the two issues I see as most important: Nutrition and taste. The table below is the label off the Valley Food Storage package. One serving consists of two tablespoons. One serving will contain 7g of protein, 70 calories, and 4g of total fat. 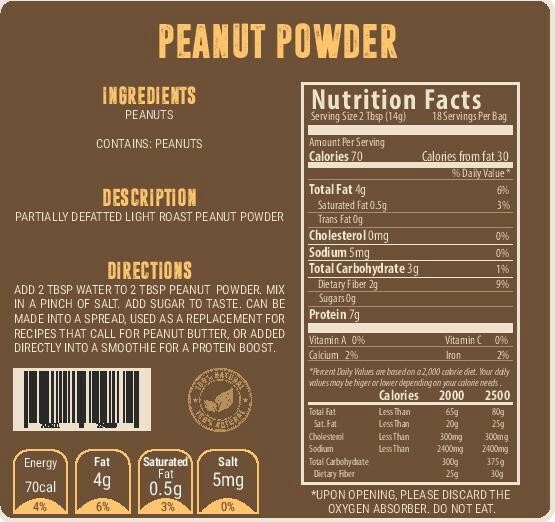 The peanut powder has and equal amount of protein, but a lot fewer calories, fat and sodium. But you are also talking a lot less weight for the amount of protein. Easy to mix, it is 1 for 1 water and powder. I mixed two tablespoons of powder with two tablespoons of water. It mixed easily and rapidly. It wasn’t as thick as regular peanut butter. It tasted good, but needs a bit of sugar for my taste. Easily done in the field with small sugar packets. It is advertised as good to mix in things like yogurt or cereal, or juice. OK in a bug in situation, but maybe not so practical on the move. It would make a lightweight protein additive for such things as crackers, etc. It would also lighten up the blandness of survival food. Lightweight and tasty protein supplement for a survival situation, but it has the same water dependent drawback that all dehydrated food stuffs have. I have placed one bag in my food stash and will let the wife enjoy the other in her breakfast yogurt. We live in interesting times. And I see the Prepper Community reflecting that. Up until the early morning hours on November 9th many people increased their prepper activities at a fast pace expecting Killary Clinton to become the 45th President of the United States. Myself included. That consisted of expending funds to buy items that I was concerned would be soon unavailable under a Clinton socialist regime. Across the country guns, especially AR’s were flying off dealer’s shelves (at least where I live). On the morning of November 9th, you could hear a collective sigh of relief from across the country. And especially in the Prepper Community. But many of us warned against that. I stated my case in Trump Won. So It’s O.K. Now, Right? Those warnings have proven to be true. Even with a President who supports the Second Amendment, and will put decent judges on our Supreme Court, we still have a long way to go. And activist liberal judges still attack the Second amendment. This country did not get to the brink of disaster over night, and we are not going to be able to reverse directions overnight. President Trump cannot fix everything overnight with the stroke of a pen. I think he will begin to try to point us back in the right direction, but he isn’t God, and he is facing the most serious resistance of any President in my lifetime. And the threats, man-made and natural, that we prep to survive, are pressing us even harder. Experienced preppers will tell you to constantly evaluate and modify you plan as situations change or develop. So what has changed significantly since the election of President Trump that would affect your level of preps? A LOT! The street violence that erupted after the election will continue. These are not spontaneous protests against an unpopular election. These are well and organized riots. And the level of violence will escalate. 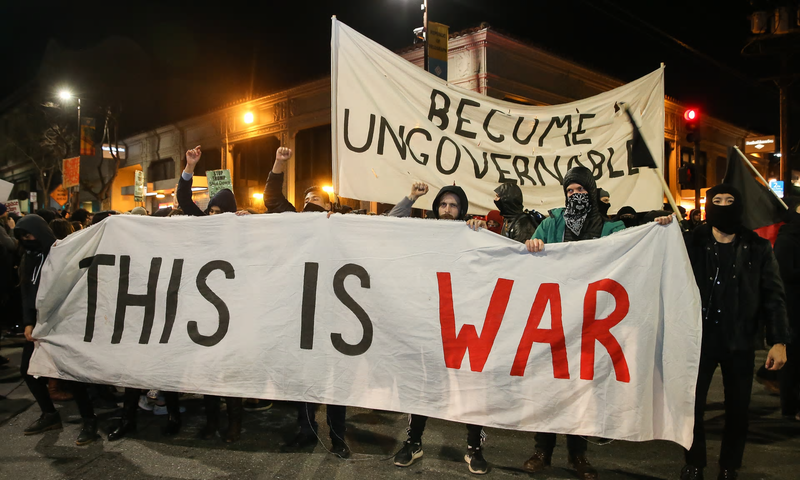 The ANTI FAS, BLM, and other radical leftist movements are calling for armed resistance and violence. Police Officers have been increasingly murdered around the country in ambush. Many of us warned that the radical left is desperate and will not simply give up, and will resort to anything to reverse the election. Unless the government is able to control these people, as the level of violence increase, people on the other side are going to take to the streets and meet violence with violence. Our courts have currently ruled that we have to continue to take in thousands of “refugees” from terrorists parts of the world. I personally think that this is still a serious possibility. Barrack Obama ran up our national debt to about 19 TRILLION dollars. We are a serious debtor nation right now, Even if the President was to get perfect cooperation (and he isn’t) this is going to be difficult to deal with and will take a long time. We have a ravaged military to rebuild, and a national infrastructure that borders on disaster. Our national electrical grid system is seriously weak and vulnerable. All of these things are not going to get fixed overnight. An EMP incident, either man -made attack, or from the sun, will shut the economy, and life as we know it, down for a seriously long time. A cyber attack on our electric grid is both possible, and evidently planned for by many of our major enemies. Regardless of the reasons, natural disasters are continuing and actually increasing in both frequency and severity. Much of our infrastructure is outdated, out of repair, and failing. 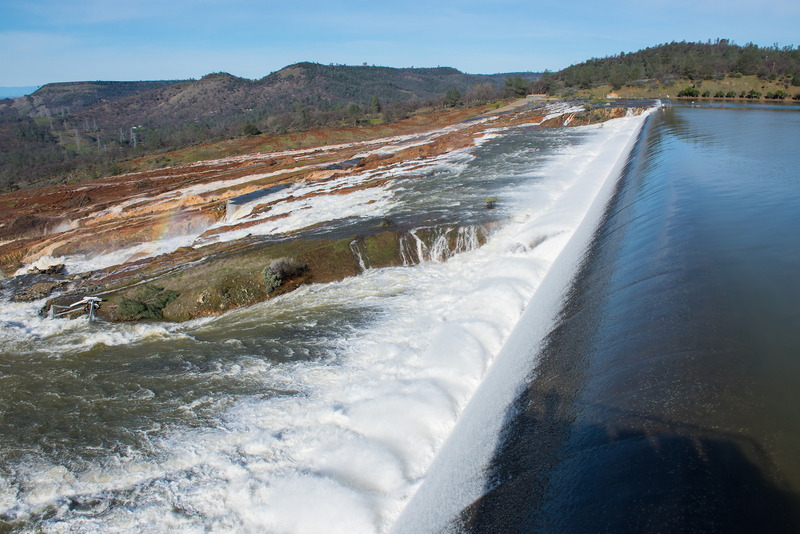 One need only look at the recent problems with Oroville Dam in California. 188,000 people had to be evacuated when it looked as if the dam would give way. I wonder how many of them had a three day bug out bag ready? Tornados, hurricanes, severe snow storms, all continue to happen with increasing severity. Folks, regardless of the election, and in many ways because of it, we face some of the most dangerous times in our nation’s history. Now is not the time to be complacent in our emergency preparations.